C-Furo 750 MG Injection is a broad-spectrum antibiotic used to treat a variety of conditions such as Lyme disease; infections of the ears, lungs, urinary tract, etc. caused by bacteria. This medicine should be used with caution in patients with a history of kidney diseases. 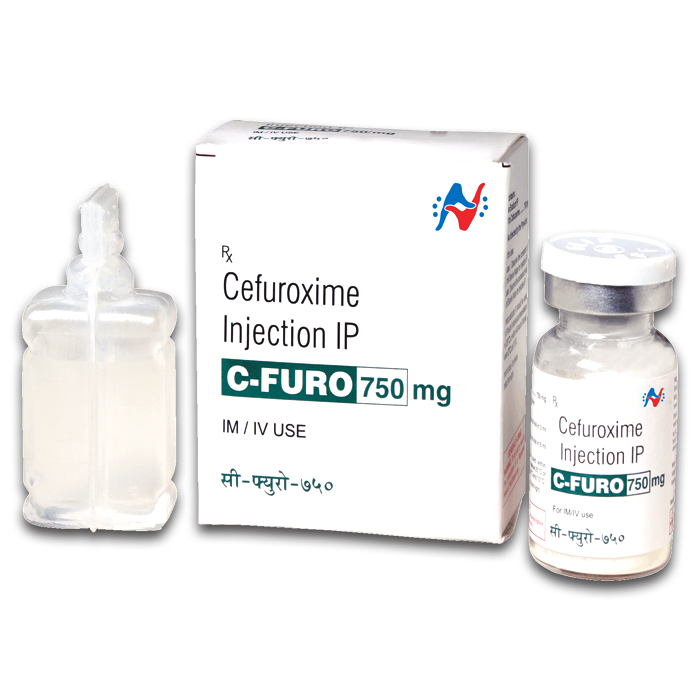 C Furo 750 mg Injection is used in the treatment of bacterial infections. It is used for short-term treatment of bacterial infections of urinary tract, skin and soft-tissue, blood, and lungs (pneumonia). It is also used to prevent infections after surgery.